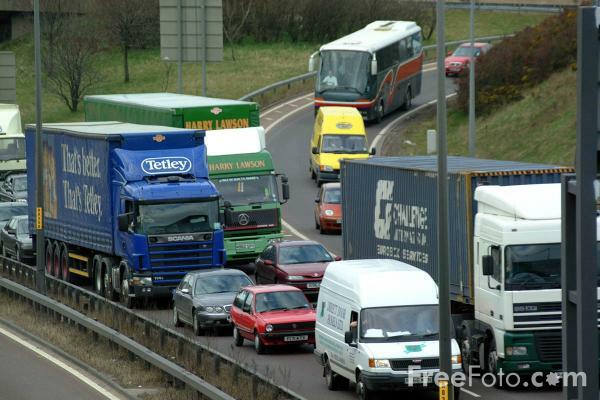 Picture of traffic congestion on the A1 Gateshead Western Bypass. The A1 Gateshead Western Bypass is the busiest non-motorway two-lane dual carriageway in the United Kingdom. The Lobley Hill interchange is the busiest on the Bypass. (105,200 Annual Average Daily Traffic) The route forms part of the Trans European Road Network. VIEW: More images from the category A1 Gateshead Western Bypass or around the same time .